Absolutely petroleum free! Petroleum products are the enemy of rubber. Yet other companies sell black grease made from petroleum products, specifically for the purpose of mounting tires! Tire manufacturers state that petroleum-based lubricants are NOT to be used on tires. Avoid all the potential tire and wheel problems by using Murphy's Black Lube. Murphy's is made from renewable oils, and NO petroleum based products. 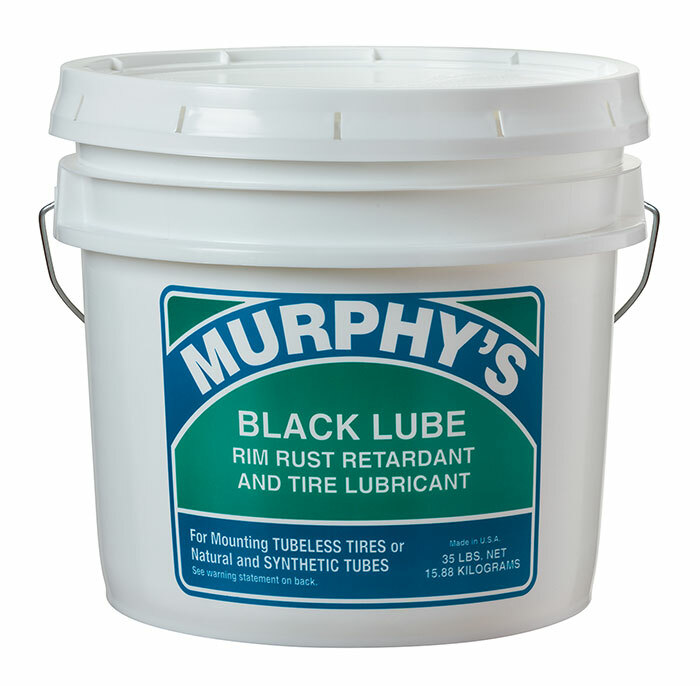 Murphy's Black Lube is a petroleum-free, paste type tire mounting lubricant which prevents rust and scale from forming on rim surfaces, side rings and ring channels. Murphy's is a soft, non-water dispersible paste. It is a stable blend of vegetable oil, soaps, surfactants, mineral fillers and water. It is excellent for use in all types of tire mounting systems. Tested safe for use on most common rubber materials, Murphy's Black Lube is a great choice for challenging applications.